Until recently, there has been little interest in investing in the Bottom of the Pyramid (BOP) markets — the largest and poorest socio-economic group in a community — for sustainable community development. This is despite the fact that there is ample literature that illustrates the importance of investing in the poor for just that purpose. There is, however, little practical orientation in academic texts regarding the fast increasing gap between the rich and poor in developing countries. Current research is enormously concerned with institutional returns from BOP markets and has very little practical focus on the nexus between sustainable community development and applicable investment models. One established approach is the provision of financial services to the poor in order to promote micro enterprises for poverty alleviation. A notable model for this emerged many years ago from the Grameen Bank, a poor-focused grassroots institution originating in Bangladesh that provides small loans and other financial services to individuals living below the poverty line wanting to start or grow a small business. In this model, a bank unit is set up with a Field Manager and a number of bank workers, covering an area of about 15 to 22 villages. Groups of five prospective borrowers are formed; in the first stage, only two of them are eligible for, and receive, a loan. Only if the first two borrowers conform to bank rules and repay the principal plus interest do other members of the group become eligible for a loan. Because of these restrictions, there is group pressure to keep individual records clear. In this sense, collective responsibility of the group serves as collateral for the loan. However, one development economist Milton Bateman contends, in his 2010 book Why doesn’t microfinance work? A destructive rise of local neoliberalism, that Grameen model does not work universally. The model, he contends, has failed to achieve its mandate of alleviating poverty within a period of one generation, as it was once envisioned. Other microfinance experts like Adams and von Pischke also caution against the optimism that arose with Grameen’s popular microfinance model. In contrast to the well-known Grameen method, the collective investment model (CIM) is built from existing lending models and practices and adopts a group lending-investment approach, with a clear focus on rural poor and urban slum development. The CIM adopts the following methodology: a person in the BOP forms a group of between ten to twenty people living below the poverty line. The group then goes through one week of training after applying for a loan from a microfinance institution or organization, starts a group investment and hopefully generates income. No credit history or collateral is required since the model supports strong collective responsibility, peer monitoring and a sense of collective ownership that is vital for the sustainability of erected projects. Further, the group holds bi-weekly meetings to check progress and should receive continuous financial training from the lending institution on a monthly basis. Finally, after full repayment, the group can apply for another loan to expand its enterprise. In developing countries, with the rate of BOP populations in rural and urban areas rapidly increasing and for BOP markets to effectively be used as a tool for urban and rural poverty alleviation, the CIM, if applied in the right ways, can form a strong basis for slum upgrading and promoting local development from within. Current populations in developing countries are rapidly increasing and the percentage of poor people within those populations is growing larger. At the current rate of population growth, urban population in developing countries will surpass the 50% mark by 2030 and, given the current slum growth rate of 5%, more than 60% of these urban dwellers will live in slums. In marginalized urban areas especially slums, residents face multi-dimensional sustainability challenges. These challenges — which include a lack of clean drinking water, proper sanitation, solid waste management systems, environmentally friendly energy sources, and housing — require both public and private interventions. Kibera is one of the largest slums in Kenya, if not Africa. UN-Habitat puts the total population at between 350,000 to one million, although Kenyan government statistics indicate that the total population of Kibera slums is around just 170,000 people. Kibera faces a host of these challenges posing enormous dangers to the lives of many, according to Umande Trust, an non-governmental organizations (NGO) that places emphasis on provision of clean drinking water and improved sanitation to slums residents in Nairobi. The slum stands on an area of just 2.5 square kilometers and is roughly five kilometers away from the city center, making it attractive to people from rural areas who move in search of employment opportunities. Kibera is heavily polluted by refuse, garbage, soot, dust, and other wastes. The slum is contaminated with human and animal faeces and all sorts of waste, due to open sewage and lack of drainage systems. 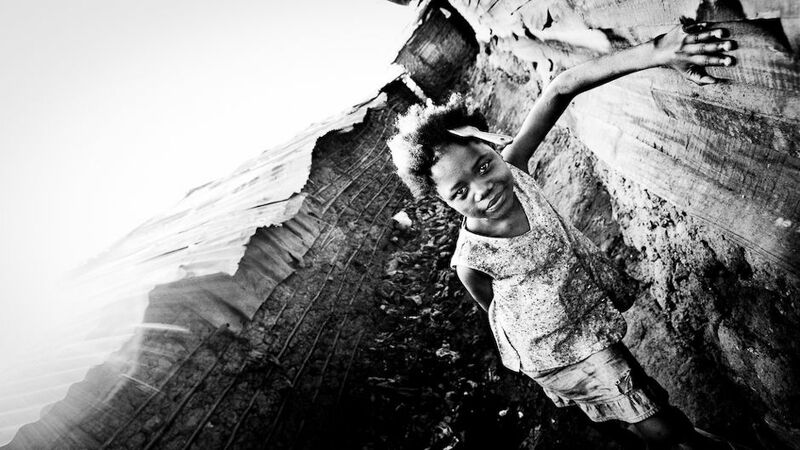 Poverty and lack of sanitation combined with poor nutrition among residents accounts for many illnesses and diseases. Although there are a host of livelihood problems in Kibera, chief among them are lack of 1) access to clean drinking water (as low as 20% “in the settlements of the urban poor where half of the urban population lives”); 2) sanitation facilities (one pit latrine is shared by around 50 shacks); 3) electricity (60% of the slum has no access); and, 4) solid waste management (estimates for the daily generation of solid waste in Kibera range from 150 tonnes to 200 tonnes). Failure by Nairobi City Council to provide all of these public services has left NGOs to take over with no one left to sustain development projects once NGOs pull out, as discussed previously on Our World 2.0. Despite these monumental challenges, the CIM can be a powerful tool for engaging small and medium-size enterprises (SMEs). Our research with the University of Tokyo (Graduate School in Sustainability Science) proposes a model that supports investments in water distribution points and kiosks that would supply water to local people at better prices than what traditional water vendors offer. The model will also be used to invest in sanitation systems, especially biogas facilities that yield multiple benefits like waste management, renewable energy, agricultural fertilizers, and entrepreneurial abilities and experiences. Each biogas facility could be designed into a structure with three floors, with the first one housing showers and toilets, the second one open for rental office space to mostly community-based organizations and meeting rooms, and the third set aside for a small business enterprise like a cafeteria. The facility produces biogas for energy purposes. Biogas is a combustible gas produced by the anaerobic fermentation of organic material like human and animal waste, kitchen remains, and plants through the action of microorganisms. It is composed of a mixture of gases, mostly methane and carbon dioxide. One person per day produces around 0.4 kg of waste and the gas production from this one person is about 0.1 m3 — enough to prepare approximately one meal for one person. Gas collected at a constructed facility can be used for cooking and lighting by surrounding households at a fee. Besides biogas, the manure from the facility can be directly used for agricultural purposes. What is more is that improved sanitation helps keep water sources in slums cleaner and less contamination in turn reduces the prevalence of water borne diseases. The use of CIM for sustainable community development in the BOP market has multiple benefits. Unlike the Grameen model that supports micro enterprises and potentially discourages industrial development, the CIM promotes investments in small and medium industrial investments. For instance, investment in biogas facilities in the Kibera slum comes with a host of benefits that are economically viable and environmentally friendly. The generation and utilization of biogas from human waste has triple benefits — it improves sanitation, makes green energy available at low cost and provides manure for agricultural purposes. The indirect benefits are less contamination of water sources and business entrepreneurship, both of which are vital aspects to promote urban BOP sustainability. So while the basic aim of the CIM for sanitation in slums is to improve the living conditions of residents by supporting public services delivery, it also supports business-oriented solutions that create economic incentives for financial institutions and other organizations to invest in sanitation. By nourishing projects with collective responsibility and a sense of ownership, the model further counteracts the problem of “poverty of ideas” by allowing innovative investments that support the sustainability of efforts by local people for development of their community. Investing at the Bottom of the Pyramid for Sustainable Development by Yarime Masaru is licensed under a Creative Commons Attribution-NonCommercial-ShareAlike 3.0 Unported License. Emmanuel Mutisya works at the UNU Institute of Sustainability and Peace as a researcher on Sustainable Development in Africa and is a Ph.D. student at the Graduate School of Frontier Sciences at the University of Tokyo. He has an M.Sc. from Karlstad University (Sweden) and an M.A. from International Christian University (Japan). His interests involve microfinance, impact evaluations, sustainable development, urban development, innovations and modeling.